A local anesthetic will be given. A sheet of latex called the "rubber dam" (we've got non-latex ones too) will be placed around the tooth to isolate it, hence keeping it clean and dry during treatment. The treatment consists of three or four basic steps, but the number of visits will depend on your particular case. Most treatments take 2 visits but some are just a single visit. Occasionally 3 appointments are needed. It depends on the degree of infection/inflammation and degree of treatment difficulty. We feel it is more important to do it the very best we can then to meet a specific time criteria. There are, of course, no guarantees. Teeth which can be treated near ideal have a success rate over ninety percent! We will discuss with you the chances of success before any endodontic procedure to help you make an informed decision. If a root canal or endodontic therapy is unsuccessful or fails you still have options. Pulp damage is sometimes caused by a blow to the mouth, and the endodontist specializes in treating these traumatic injuries. For example, a blow to a child's permanent tooth that is not fully developed can cause the root to stop growing. 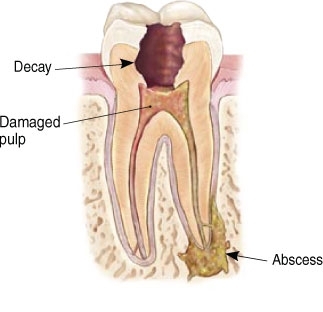 A procedure called apexification stimulates bone to be deposited at the end of the root which makes it possible to then save the tooth through a root canal procedure. An endodontist is specially trained in procedures for replanting avulsed teeth. Occasionally, endodnitically treated teeth fail to heal or pain continues despite therapy. 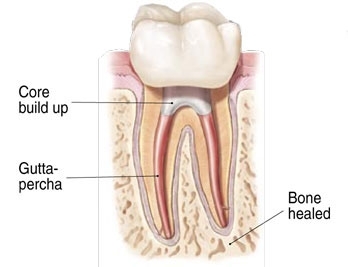 Although rare, sometimes a tooth initially responds to root canal therapy but becomes painful or diseased months or years later. When either of these situations occur, the tooth often can be maintained with a second endodontic treatment. 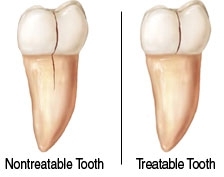 Sometimes, previous endodontic treatment or re-treatment to a tooth may fail to heal. The most common surgical endodontic treatment is called an apico-ectomy. 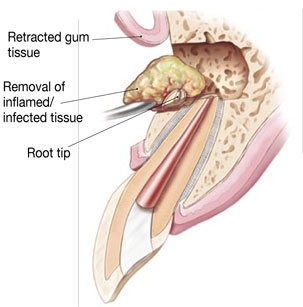 This procedure is performed when an endodontist opens the gum tissue to expose the underlying bone and removes any infected or inflamed tissue along with a portion of the root. 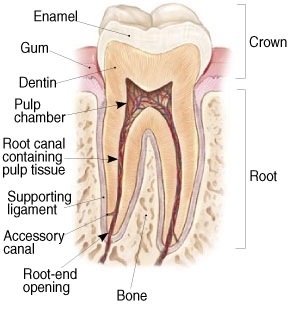 Then a small filling may be placed to seal the end of the root and the gum tissue can be sutured back in place. Over a period of time, the bone can heal back around the end of the root. Other surgeries may include treating damaged roots or perforations. Dr. Zibari will be happy to discuss the specific type of surgery designed to help save your tooth and your chances for success so that you can make an informed decision.